Two Ghanaians have appeared in the latest trove of files showing politicians and business people around the world who have offshore companies. 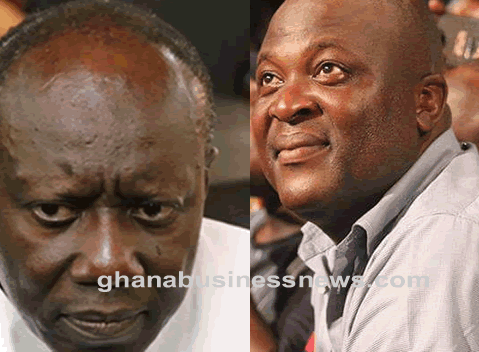 The current major leak following the biggest ever, the Panama Papers, is what has been named Paradise Papers and the Finance Minister of Ghana, Ken Ofori-Atta and businessman and brother of former President John Mahama, Ibrahim Mahama have appeared in the list. The Paradise Papers leaks were published on Sunday November 5 and reveals how the rich and powerful and their families and associates invest significant portions of their wealth in offshore tax havens far from their home countries. According to the International Consortium of Investigative Journalists (ICIJ) which published the files, the full structured data connected to the Paradise Papers will be released in the coming weeks. The ICIJ also published the Panama Papers. “The database does not disclose the totality of the leaked records. It doesn’t divulge raw documents or personal information en masse. It contains a great deal of information about company owners, proxies and intermediaries in secrecy jurisdictions, but it doesn’t disclose bank accounts, email exchanges and financial transactions contained in the documents,” it said. Ibrahim Mahama, the CEO of Engineers and Planners (E&P) and also the brother of Ghana’s immediate past president, John Mahama, was named for creating an offshore company called Red Sky Aviation Limited to hold a $7 million airplane. Plans for a second company of its kind to act as a consultancy in oil and gas and real estate sectors of Ghana were however shelved. His company, (E&P) deny any wrongdoing. While Ghana’s current Finance Minister was not explicitly named in the revelations, he was identified as a co-director of an offshore company called Songhai Financial Holdings, along with the outgoing president of Liberia, Ellen Johnson Sirleaf. That company was listed as a subsidiary of Databank, an investment company co-founded in 1990 by Ofori-Atta. According to a board member of Databank, Songhai was created to allow people who already had offshore investments to invest their money in Databank in Ghana and that Sirleaf resigned as co-director before she successfully campaigned to become Africa’s first female elected president in 2006. However, due to an ‘oversight’, that resignation did not take effect until six years later when it was detected. Ghanabusinessnews.com reached out to Ghana’s Ministry of Finance for comments on the revelations but a representative told us, the ministry was currently focused on writing the 2018 budget statement expected to be delivered on the floor of Parliament by Ofori-Atta on November 15. It has not been suggested that what Messers Mahama and Ofori-Atta have done is criminal, but it is widely known that offshore companies are often used to avoid paying taxes in home countries.